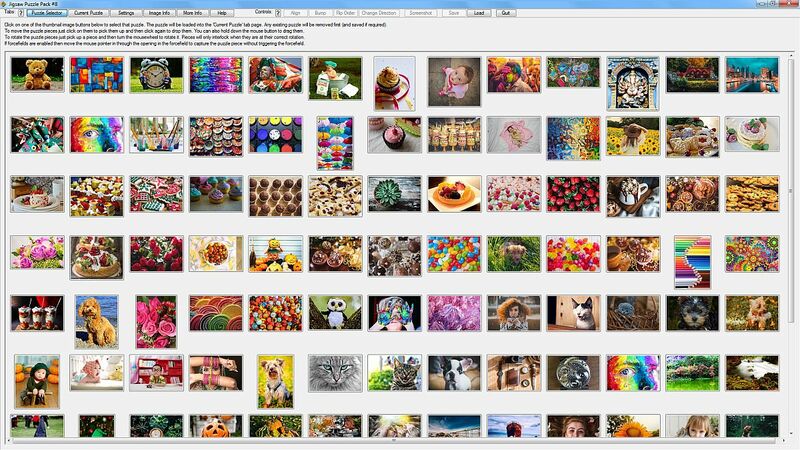 This jigsaw puzzle software pack includes a collection of 105 puzzle images. 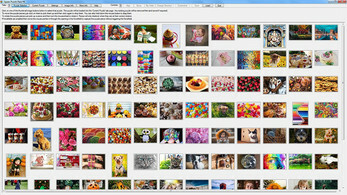 The jigsaw puzzle software lets you select images to display as puzzles and then snap together the puzzle pieces to complete the puzzles. You can configure the puzzles in a variety of different ways. This software is for Windows PC. The jigsaw puzzle software is highly customizable and allows you to configure the puzzles to be solved in many different and interesting ways. 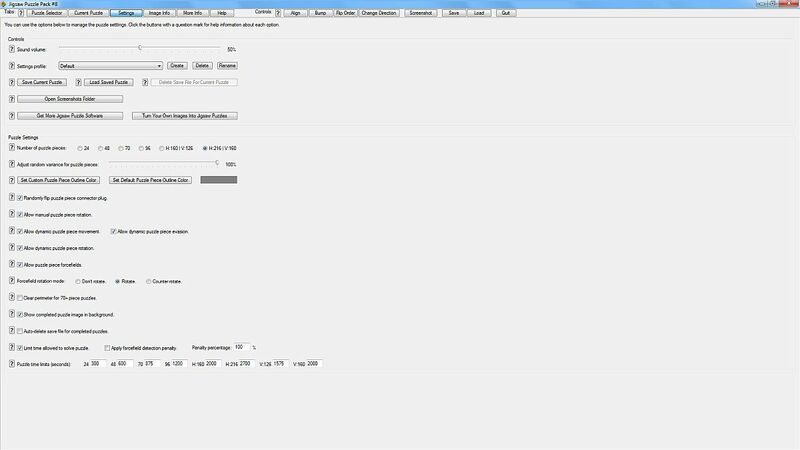 Multiple settings profiles can be created, saved, and loaded to allow you to easily create your own puzzle game-modes. 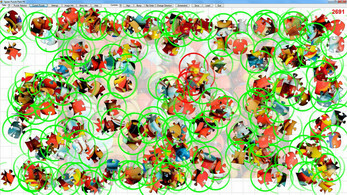 Puzzles can be saved and reloaded allowing larger puzzles to be saved and resumed if you do not have enough time available to finish them. Once a save file exists for a puzzle the program will auto-save the puzzle state when needed. The number of puzzle pieces can be set from 24 pieces up to 216 pieces. 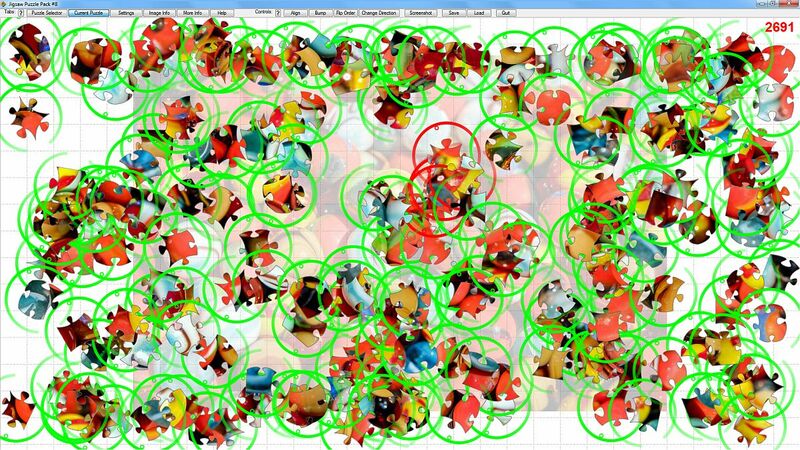 Different degrees of random variance can be set for the puzzle piece shapes. Manual and dynamic puzzle piece rotation can be enabled, along with dynamic puzzle piece movement with optional mouse pointer evasion. Puzzle piece forcefields can be enabled (with optional rotation) which require the user to navigate the mouse pointer through an opening in the forcefield in order to be able to click on the piece. A configurable timer can optionally be set to add a time challenge to solving the puzzle (with an optional forcefield detection penalty). A faint copy of the completed puzzle can also be set to display in the background to use as a reference when solving a puzzle. 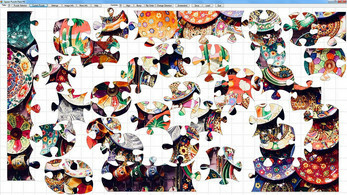 You can use Jigsaw Factory to turn your own images into jigsaw puzzle software packages like this one. 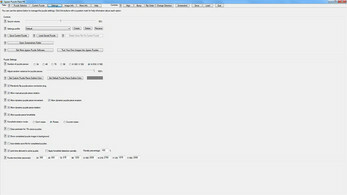 You can then do whatever you want with the resulting puzzle packages, including selling them on sites such as Itch.Io.